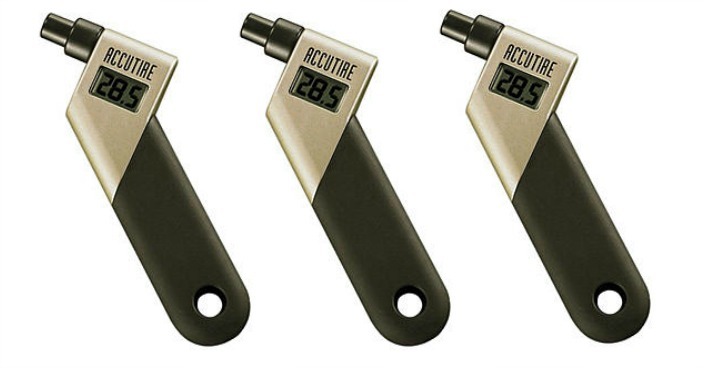 FREE Accutire Digital Tire Gauge! You are here: Home / Great Deals / Christmas Deals / FREE Accutire Digital Tire Gauge! Sears has this Accutire Digital Tire Gauge on sale for $9.99 (Reg. $15) and you can get back $10.09 in Shop Your Way points, making it FREE! Everyone knows how important it is to keep your tires inflated properly with a digital tire gauge, right? Well if you’re new to driving, or just didn’t know how necessary it is, now’s the time to make sure all of your tires have just the right air pressure. With a trusted name like Accutire, you know your tires are in good hands. The digital gauge provides you with features like an ABS rubber-coated handle and an easy-to-read, extra-large LCD, so you can tell psi at a glance. Accutire Digital Tire Gauge makes it simple for anyone to use and feel confident in its reading.